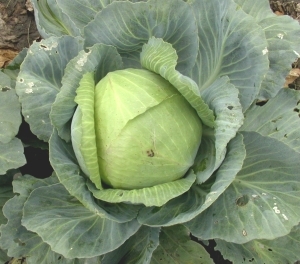 Even if you have no clue as to growing vegetables, you can easily learn enough to be growing useful crops very quickly by just following seed package instructions. Each session spent in your garden teaches you even more. You will understand what is unique to your own situation, such as local soil conditions, your particular aspect in relation to the sun, and oddities that relate to your local microclimate. You will learn most of this by getting out and giving it a go. The taste of home grown vegetables is vastly superior to that of commercially grown produce. Have you bought high priced tomatoes lately that have just about no taste? You will experience a culinary delight when you grow your own - there is nothing better. The lack of taste with the commercially grown tomatoes is not all the fault of the growers, as they are under pressure to produce a crop of uniform size and colour, to the schedule of the wholesale market, and ultimately the supermarket. They are picked when still green and then ripened artificially. In your backyard garden, you set your own schedule and pick the fruit when at it's peak. Vegetables bought from the supermarket and stored in the refrigerator quickly wilt or rot and become inedible after a few days. Home grown produce will last much longer and retain flavor when refrigerated. Beans are another crop that is very easily grown and can be harvested gradually as the pods mature, giving you tasty fresh vegetables throughout the growing season. With just basic soil preparation, a minimum of fertilizer and sufficient water, your home grown vegetables will generate a surprising yield and more than pay for the modest cost of growing them. You can effectively end up having free vegetables. Stake out a small area in your backyard garden and grow some vegetables. You can even start out with containers such as baskets or half barrels. All the odds are on your side, plants actually want to grow. In many cases they will grow even if neglected. If you provide the basics, of reasonable nutrition and regular watering, Mother Nature does the rest - let her work for you and enjoy the wonderful taste of home-grown vegetables from your backyard garden.